Panama is fast becoming a hub for yacht owners from all over the world. With the introduction of the Panama Canal the sailing yachts now have a quick and largely inexpensive route to travel from The Pacific Ocean to The Carribbean Sea and vice versa. Panama is also blessed with some beautiful island groups including the San Blas islands, Bocas Del Toro islands, Las Perlas islands and Isla Coiba. With such natural beauty in abundance many yacht owners have decided to stay in Panama and offer both pasage to and from Colombia via the San Blas islands and island sailing charters. Panam Travel Unlimited has over 4 years of experience working with sailing yachts both monohull and catamarans. We have established a network of yachts that we feel offer the guest a higher level of service and trip experience than anyone else. We have a variety of options to suit everybody from 2 person charters for a honeymoon couple to large group charters of up to 14ppl. 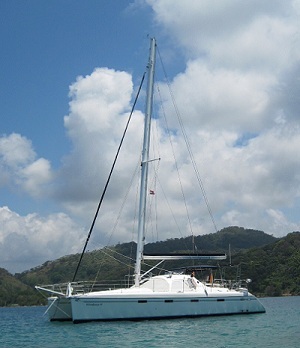 Our prices are highly competetive and are cheaper than other Panama sailing charter options. San Blas Islands – Sailing Charters are no longer permitted in the San Blas Islands!!!! The Kuna Congress have banned them and will fine anyone doing them. 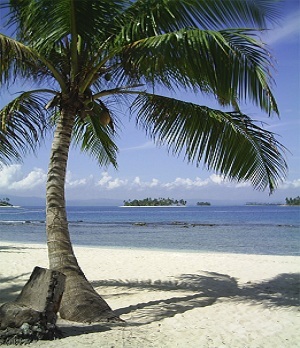 The San Blas islands are a a group of some 365 islands stretching along the Carribbean coastline. The islands make up what can onloy be described as a stunningly beautiful tropical island paradise. Every island has white sand beaches fringed with palm trees weighed down with the annual coconut crop. With charters being illegal in the San Blas the best way to see the islands is with one of cabana stays or our exclusine camping tour that visits the Cayos Holandeses, a remote and beautiful area of the San Blas islands. The Las Perlas islands are one of Panama.s forgetten gems. They are a stunning group of Pacific islands, with beautiful beaches and wonderful snorkeling. The seas aroiund the islands are also some of the best fishing grounds in the world, with sports fisherman coming here with high hopes of catching other wise elusive fish like the Marlin, which are the Holy grail of sea fisherman the world over.